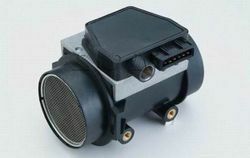 We are renowned as one of the most popular enterprises in this industry, offering a wide gamut Air Mass Sensor. The product offered by us is available in customized sizes & shapes as per variegated needs of our clients. This sensor is manufactured at vendors end using topmost grade components and sophisticated technology in compliance with set industry norms. In order to deliver the defect free range, this sensor is inspected against the various parameters under the guidance of reliable vendors to avoid the production defects. Established in the year 2016, Tirupati Automobiles is the leading Wholesale Trader of BMW Kalt, Brake Booster and much more. Moreover, the products in which we deal with are contrived from the best quality of material range that is highly tested and in conformance of the standards and norms of our business.